For those of you looking for an authentic Tahitian dessert… this is it. You just better like bananas because this dessert is full of them… four cups of pureed bananas to be exact. Not too long ago I needed some baby food jars for a craft project and ended up buying eight fruit purees. I ended up eating them as snacks at work, but man do I wish I’d come across this recipe earlier. The pureed bananas get combined with a small amount of brown sugar for sweetness, cornstarch and vanilla. 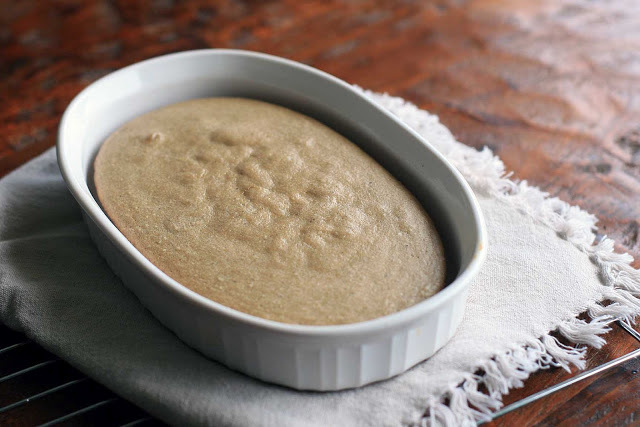 You bake it in the oven and end up with something akin to very dense banana bread… almost like a banana bread-mochi hybrid. 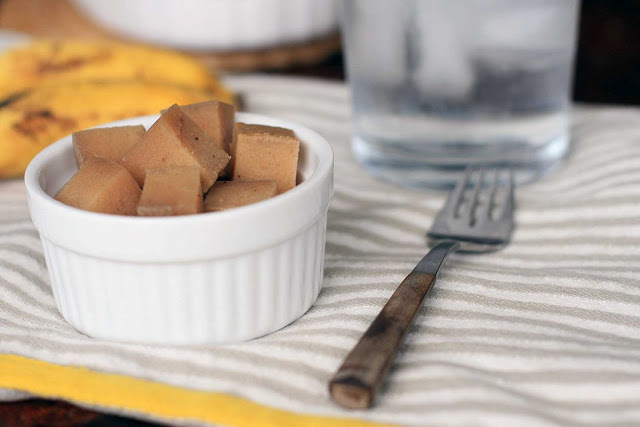 Cut it up into squares and top with coconut cream for a truly tropical treat. For a decidedly more American flavor, you could top the po’e with chocolate sauce and whipped cream. Banana and chocolate is never a bad combo. If you truly aren’t a fan of banana, you can always experiment with other fruit purees… just make sure you’ve got a full four cups. 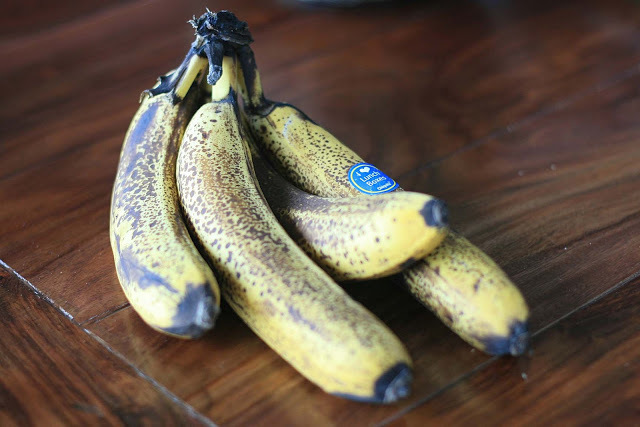 Place the banana in a blender or food processor and process until smooth. 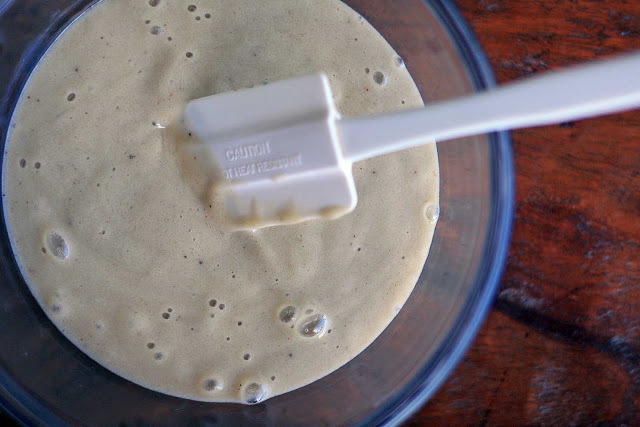 You should have four cups of banana puree. Pour into a large bowl and add the brown sugar, cornstarch, vanilla bean seeds, and vanilla extract. Mix until smooth. Pour mixture into the prepared baking dish and bake until firm/set. Remove from oven and let cool to room temperature. Place in the refrigerator for 2-3 hours, or until thoroughly chilled. Cut into cubes and place in a bowl. 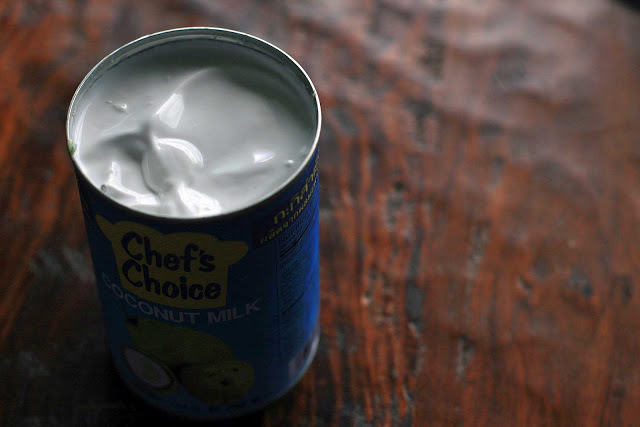 Remove the top from the coconut milk. 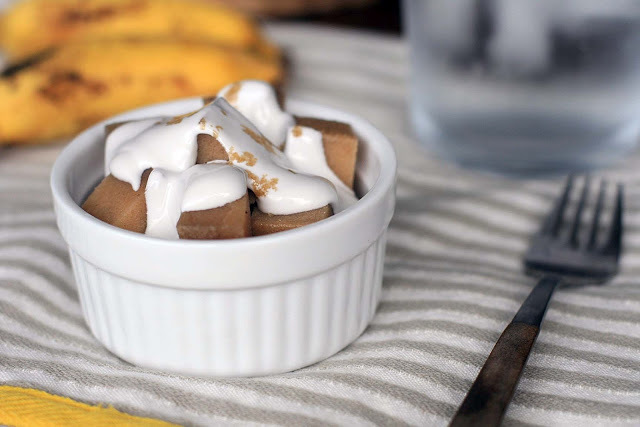 Spoon the cream, which should have risen to the top, over the cubes of banana po’e. Sprinkle with a little extra brown sugar and serve.